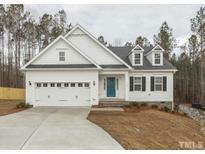 Below you can view all the homes for sale in the Hampton Park subdivision located in Fuquay Varina North Carolina. Listings in Hampton Park are updated daily from data we receive from the Raleigh multiple listing service. To learn more about any of these homes or to receive custom notifications when a new property is listed for sale in Hampton Park, give us a call at 919-213-9465.
the bathroom is large with a tub and shower..the closet is huge.. come visit today MLS#2249533. 2714. No city taxes. 1-yr warranty and refrigerator included. MLS#2243853. 3838. 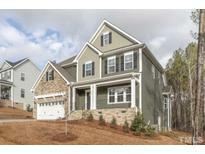 Come see this great house today on private, wooded home site! MLS#2241177. 2714. Tons of features and upgrades including a screened porch and a gourmet kitchen with pot filler! MLS#2241178. 2714. Too many amazing features and upgrades to list! MLS#2240639. 2714. There is room for a pool on this home site. MLS#2235746. 2714. The deck is a wonderful place to enjoy nature! MLS#2235550. 2714. The Palmer B is a best selling floor plan. MLS#2232578. 2714. The Carson C is a ranch plan with a bath and bonus upstairs. MLS#2232592. 2714.